The specs for the Offshore Patrol Cutter have not been made available to the general public, but the Commandant recently remarked that he hoped to repeat the success of the Webber Class Fast Response Cutter (FRC) procurement by doing something similar with the Offshore Patrol Cutter (OPC) in terms of using a parent craft approach (sorry can’t find the link). Last time the acquisitions Directorate (CG-9) published a list of shipbuilders interested in the OPC project there were twelve, Austal, BAE, Bath Iron Works, Bollinger, Derecktor, Eastern Ship Building Group, Marinette Marine, General Dynamics NASSCO, Northrop Grumman, Todd Pacific, Signal International, and VT Halter Marine. Some of these ship builders are very experienced and are more than capable of starting a design from scratch, but others either already have international partners or, having no experience in building this type of ship, are likely to seek a partner. What similar designs have been built recently that might be adapted to create an OPC? The OPCs are much more complex than the FRCs and even in that case, there were substantial changes to the parent craft required to create the Webber class. Speed was increased substantially, compartmentation was improved, and it was more heavily armed, so we should not expect a carbon copy of any existing design. Many of these designs have all their propulsion machinery in a single compartment. At least one appears to have all its ship’s service generators in one compartment. (I believe the OPC spec rules out both of these vulnerabilities, but these are things that can be changed.) Other changes are also likely to be required to comply with American Bureau of Shipping (ABS) Rules for Building and Classing Naval Vessels (NVR). Very few meet the range requirement. Even fewer are equipped with an icebelt. Still it might be interesting to see what is currently on the market. For reference I am going to provide the length and beam (in meters) of the some familiar ships. Of these the 327 at 100×12.5 might serve as a sort of benchmark in that we know from experience with these ships, it is possible to create a very comfortable and seaworthy ship of this size, while smaller ships have not been totally satisfactory for the service envisioned. The FFG also serves as a benchmark in that it shows that a ship with a 13.7meter beam can have a hanger that can house two H-60s, not a requirement for the OPC, but perhaps a good option, particularly with the Navy increasing the size of the Firescout to that of a full size helicopter. Some of these builders have more than one design that might be considered. Damen appears particularly well placed, having provided the parent craft for the Fast Response Cutter. 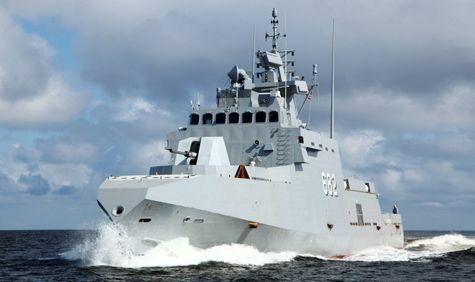 They have two potential parent craft, the Holland Class (108×16) and the Sigma series (Ship Integrated Geometrical Modularity Approach) of corvettes and light frigates. As suggested by the illustration above, Thales already has an interest in offering the Holland class as the OPC. It was shown off recently in Key West. It shares many of the characteristics of the OPC including an emphasis on seakeeping and ballistic protection for key areas of the ship. At 3,750 tons, it is also the largest ship we will discuss in this post and probably the most expensive. Reportedly the mast and its associated sensors account for a sizable fraction of the ship’s cost, but also provide almost Aegis like capability. Its combined electric or diesel (CODELOD) propulsion system make loitering and slow cruise operations particularly economical. Still they would need greater range, possibly greater speed and an ice belt to satisfy the requirements for the the OPC, so might end up even larger. Of the Sigma series, the Indonesian variant (105×13) looks closest to the OPC. Eight ships have been built or are building for Morocco and Indonesia, and apparently four more are planned for Vietnam. 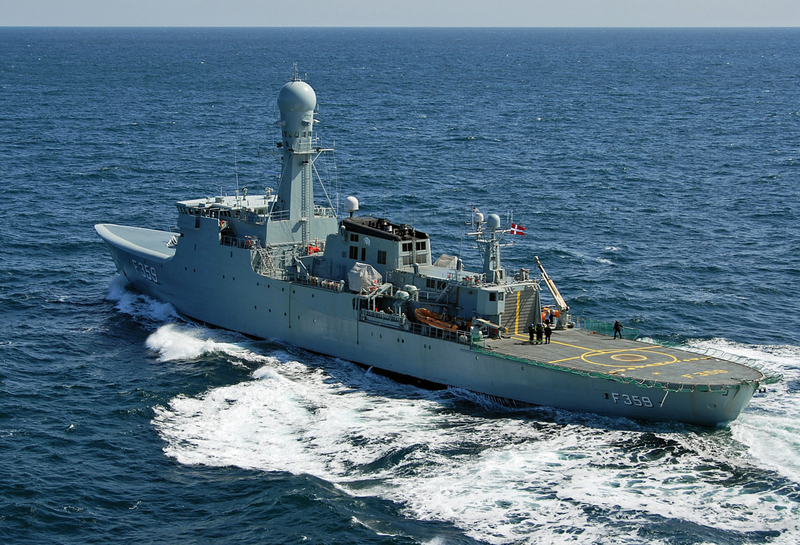 They appear to emphasize warship characteristics but are not built to naval standards and when the Netherlands decided to build their own offshore patrol vessels they rejected the Sigmas in favor of the Holland class. It is shorter ranged and its inclusion of only two very powerful diesels does not appear likely to be economical. Still the size looks right; it is “modular,” perhaps modifications are possible. Navantia, a very large and active builder of warships, including Aegis equipped frigates and LHDs for the Spanish and Australian Navies, has been very active in producing offshore patrol vessels recently. They are producing a series of series of nine multipurpose ships for the Spanish Navy identified as Buque de Acción Marítima or “BAM” (93.9×14.2). “Modular design enables the ships to be modified for purposes outside main missions such as hydrographic research, intelligence gathering, diving support and salvage operations.” As built they have the range required for the OPC. They have a hybrid propulsion system, but speed is only a little over 20 knots. They don’t have the range required, only 3500 nmi, or of course an icebelt, but otherwise they appear very close to the OPC including a 25 knot top speed. If Navatia could combine the speed of the Guaiquerí with the range and economy of the BAM, they might have a winner. Obviously DCNS also has an interest in the OPC project. They have been pushing their Gowind family of vessels as both OPCs, corvettes and light frigates. The L’ Adroit (87×11) is probably too small to meet the OPC requirements, but the larger version (107×16) beginning offered to Malaysia appears much closer. A BAE design (90.5×13.5) built for Trinidad and Tobago, has been sold to Brazil and they expect to build five more of the ships, while a very similar BAE design, HTMS Krabi, is being built in Thailand. These ships don’t meet the range requirement, don’t have a hanger, and are limited to a 7 ton helicopter. Could the design be modified? 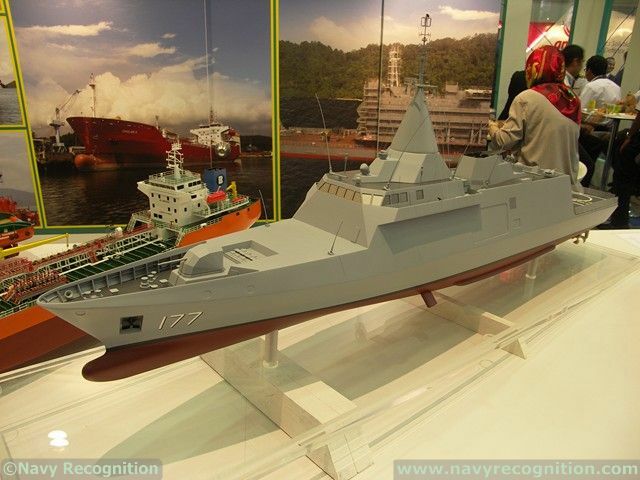 BAE also have in their portfolio the Lekiu_class_frigate (106×12.75) which does have a hangar. Two were completed for Malaysia in 1999. Two more of an updated design are proposed. These ships have a powerful CODAD (Combined Diesel and Diesel) powerplant that is good for 28 knots. Reduced power could still satisfy the OPC requirement. Fassmer (Germany) appears to be primarily a builder of work boats and small craft, but they have had success with their 80 meter OPV design being adopted by Argentina, Chile, and Colombia for construction in country. They have proposed some larger designs (pdf), but I’m not sure they bring much additional experience to the table. Blohm & Voss may be the most successful exporter of warships in the last 50 years. Hyundai is primarily a commercial ship builder, but they might choose to offer a variant of their recently completed Inchon Class frigate (114×14). STX (S. Korea, France Finland, Romania, Canada and US) is an extremely successful commercial ship builder with divisions all over the world. They have built cutters for the S. Korean Coast Guard and warships for France and Finland. 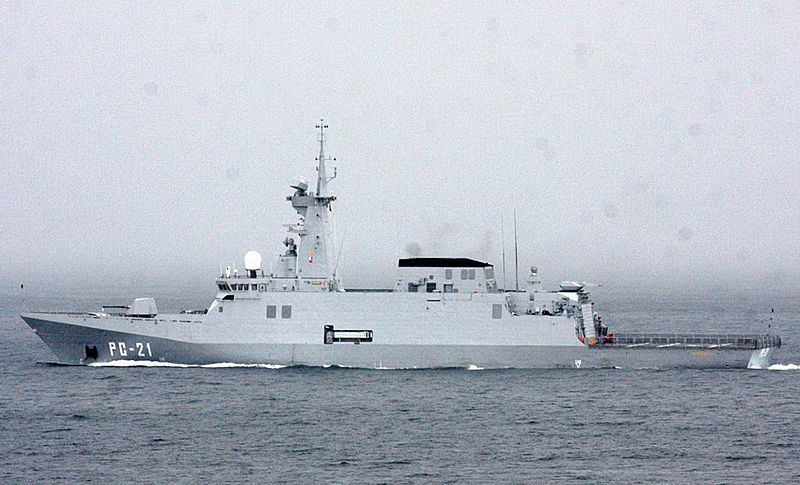 The New Zealand Protector class (85×14) was designed by their Canadian division. It is unique in having an icebelt, but reportedly the ship turned out heavier than intended and the icebelt is lower than it should be. An outside chance is a design based on the Turkish Milgem (100×14.4). I’m still a fan of the Danish Thetis (112×14.4) although I don’t think it will be in the running. It is a simple but roomy ship but the yard that built it is now out of business, so it has no advocate. Another way to approach the problem might be to consider the 327 or 378 as parent craft. This entry was posted in International, Uncategorized and tagged OPC, OPV, shipbuilding by Chuck Hill. Bookmark the permalink. Chuck, that is something we have been discussing in my shop at work and something I have put together in my blog. I think there are some many “off the shelf” designs out there that would be more the adequate for the OPC that to try and design from the keel up would be costly and time delayed just as it was for the WMSLs and the failed 123′ conversions. LCS-2 & Cape class Patrol vessel (FRC equivalent) are the only two major defense projects done by their US yard. Their ability to handle the OPC would likely be tied to their continued work with the LCS program. The yard is on an island with little room to expand. Their facilities appear to be able to support construction of 13 OPC/LCS size ships at a time (2 in long lead procurement, 2 in fabrication, 4 in their mobile assembly modules, 3 in their finishing yard, and 2 at the pier in the pre-delivery process. This would assume no other commercial or small defense projects. I can’t find a single active BAE owned shipyard in the US so I can only assume they would sub contract that out or buy out one of the US yards. I’m no expert but the only BAE yards I have ever come across were for maintenance support. Their 99m corvette may be a good parent craft design. In the UK their type 45 program uses the same modular process that the LPD program uses; smaller yards build individual modules and they are barged to a central yard for assembly. This may be an option in the gulf region where many of the smaller yards discussed below could do pre fabrication and pre assembly with a larger yard such as Ingalls or Austal doing the assembly. DDG 51 and DDG 1000! There should be no concern over the capabilities of this facility and they are undergoing some major expansion projects for DDG 1000. The only concern would be getting crowded out by the two projects. Also, I’m thinking their best minds and technicians would probably focus on the Zumwalt program. With that said, Bath is known for its shear awesomeness. They could team with Derecktor to do the same modular program discussed above and utilize their CT and NY yards. Really the 170’ (later 179’) and 154’ are the largest military vessels they have built. Most of their other work is simple commercial building centered around the oil industry. They would have to up their scale considerably and I doubt they could pump the OPC out quickly. They could be a subcontractor for BAE though. I don’t see how this works, they don’t build military vessels and have never built anything near this size or complexity. As discussed, they could be a sub facility for Bath. Same here, their yards may be able to handle construction, I just don’t see them having the experience for such complex vessels. Their location makes them another option for a sub facility for BAE, Ingalls, or Austal. Now this is only the US portion, the Canadian portion seems more capable and has been award numerous large scale government projects. You noted their artic OPV and they do have a rather popular 70-90M variant. WLBB, WLB, WLM, LCS-1 demonstrate that this yard can handle the OPC but it has the same issue as Austal. Who is going to build the LCS? I get the feeling that the loser may end up getting the OPC. If they end up splitting the final design between both yards, then neither may get the OPC. I don’t think I am going to list all of the ships they build, its a bunch but mainly they are focused currently on the T-AKE and Sealift programs. I think they have the capacity to build almost anything but its all big and modular. I have doubts on their ability to do the relatively small/compact production of the OPC. WMSL, DDG 51, LPD, LHA so the yard should be able to do the work but they seem to have some trouble with quality. There might be some leverage/efficiency with the PRO already in place so Ingalls should be able shift projects. I’m just not sure how palatable they are given the headaches. I guess it really depends on how good the WMSL program looks when it gets closer to the time to award the contract. Todd mainly builds ferries and artic support vessels. With that said, they do quality work and are rather efficient at cutting and stretching commercial vessels. Their experience with Navy and Coast Guard overhauls may make them a good fit for keel up OPC construction. Also, they have other facilities from Portland to Ketchikan that could do pre assembly. I have been to their Portland yard and I was really impressed with the quality of their workers and management. They are building LPD modules. I’m really not sure because they haven’t done a full navy project. With that said, they could have potential to use the OPC as a good step up towards full navy projects. Also, they could be a good fit as a sub facility for BAE, Ingalls, or Austal. I have the same concern that they mainly do commercial work and patrol boats. I just don’t see them as able to handle this scale project. Also, their website is horrible which doesn’t give me much confidence when trying to build a modern ship. Almost certainly some of those yards have lost interest, either because they realize it is beyond their capability or because they have other work, but for the “big six,” the yards that normally do military work, sequestration, if it happens, Could make them hungry for work. Huntington Ingalls could use the NSC as parent craft and create a shortened version as OPC. This is potentially a large program by current standards, so the winner might be willing to make substantial investments to upgrade a yard. You forgot the cost factor. There is no way BIW or Ingals can compete on price. They will tell a great story and if the USCG believes them, woe to them. What was the cost growth on the DDG1000 and NSC again? Austal doesn’t do steel and is up to their ears in JHSV and LCS. There’s no way the CG buys into that. Same may be true for Marinette. I think people who think lower tier yards don’t build complicated ships haven’t been in a shipyard in a while. Nothing is simple anymore. @ Piero: you make a very good analysis, and your up-front point about the CG needing to be careful of not getting “pushed around” by a big company and not selecting too small, inexperienced and incapable of a yard is excellent. I’ll add in that in my opinion, due to the ICGS and 123 scandals, Bollinger should be eliminated. I’d also add that to avoid future problems and minimize “fixes,” the CG should add a thought of who has proven quality building ability. To my mind, with ALL of those aspects in mind, there are only 2 highly-likely shipyards: Vigor and Marienette. I was kind of surprised to see your advocacy for some of the biggest yards in the US after you made the good point about not getting shoved around by them…? I don’t think the Coast Guard can reject a contractor because he might “push us around” so the larger yards will remain in the competition. If we were going to bar Bollinger we should have done it when they were competing for the Fast Response Cutter contract. Unless the Justice Department gets a conviction of wrong doing on their part, I don’t think we would be able to bar them either. I would imagine the process would be the same as it was when the USCG purchased the Damen design for the Webber Class (FRC). The purchased the design and awarded the contract for the actual ship construction to a US shipyard. Secondly, there is a large BAE Systems shipyard here in Chesapeake, right on the Norfolk line. The SIGMA, MEKO and OPV classes have all shown extreme modularity in their designs. The SIGMA has been used as the basis for a corvette, a “heavy” corvette, and three different frigate designs. The MEKO speaks for its self in traditional combat ships, but is currently being further shopped around in a MEKO CSL (Combat Ship for the Littorals) variant. 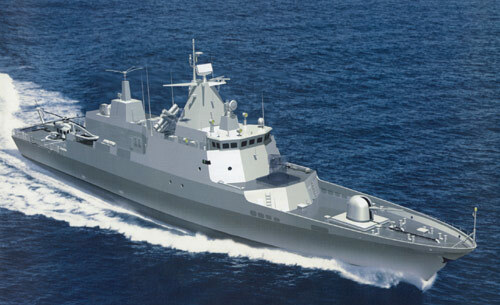 The final and a very promising design is the OPV by BAE Systems. It is just a versatile as the SIGMA. Its first run was a constabulary vessel built to commercial specifications for the Royal Navy, being a mix of commercial and military specifications for the Trinidad and Tobago Coast Guard (later canceled and purchased by the Brazilian Navy) with it being expanded all the way to a built to military specifications corvette for the Thai and Omani navies. While the thought of a modernernized variant of the 378′ continuing to serve the nation is appealing to me (I’m biased, as a former 378′ sailor I think they are truly handsome ships compared to any other white hull currently in use or proposed), I think that just the changes in philosophy regarding things like visual and radar cross-signatures would rule out a 327′ or 378′ variant. Admittedly, I’m not a naval architect or engineer, but the WMSL, and many modern naval vessels are made of long slopes and sharp angles (the samples in the post seem to support that theory as well) – could the 327′ or 378′ baseline designs be modified to conform to what appears to be the modern paradigm in naval ship design and construction? Also what would it take to rethink the layout of the 327′ and 378′ designs to fit the more modular construction and layout practices in use today? I understand that those designs would essentially be the baseline to start the process with, but would the design philosophies in place 50+ years ago be too much of a challenge to adapt into a modern design? How well would the 327′ design adapt to the added length and beam needed to add an H-60 compatible flight deck and hanger? For that matter what about the 378′ which can land an H-60 (barely) but can’t hanger one? Which brings me to my next question – why is the CG worrying about accommodating H-60s on their flight decks? My understanding is that the Jayhawks have had TALON removed which means that they can’t safely land onboard any cutter (including the WMSL) and that the odds of that changing is slim to none… The last H-60 that landed on a cutter was what – 15 years ago? So why is the CG trying to design and build H-60 compatible ships – wouldn’t this be like the WHEC and WMEC designers of the 50s and 60s trying to design an H-3 compatible cutter? The CNO just published an article in which he talked about the limits of stealth. I’m not sure it is a characteristic that is worth a lot to a Coast Guard cutter. In reference to landing an H-60, I think the reasoning is two fold, (1) to be able to work with Navy H-60s and (2) to be able to handle the replacement helicopter, whatever it might be, because it will almost certainly fit the H-60 footprint. The Hamilton class is certainly beamy enough to hanger one H-60. It very close to the beam of the FFG-s, so it might even accommodate an H-60 plus large UAS if given careful planning. We probably could not use much more than the hull shape from the 327s, but that was very good. It was also very efficient, being able to make 20 knots on only 6,200 HP. There should be less problems taking an existing design (parent hull) modifed and built in US shipyards. BUT the questions about US shipyard capacity and capabiity are somewhat subjective and would most likely be a evaluation factor for award? I know that BAE SE Mobiel yard, VT Halter Marine are also capable, believe Signal is new to large project many hull construction. Austal USA yard is still expanding, I don’t think beyond LCS and JHSV programs. The large yards while having the management are proabably at disadvantage due to those and other overhead costs (stemming from USN work) working into OPC? Not NASSCOs type of ship. I don’t know how RFP is structured, but having a lead yard and other support yards is a complicaled management scheme. Austal is certainly not a lead yard. doubt that Todd Pacific is either. I think Vigor Todd would do quite well with the parent craft approach. I think they have some of the best welders in the US, we wouldn’t have to worry about fixing new hulls with JB weld or Belzona. They could just sub contract out out all of the C4ISR. Also, the sub facility idea is proving effective in the UK. What is rationale for twin engine compartments? If foreign OPV users don’t consider such a level of redundancy useful, why should the USCG require something that will drive up size and cost? IMHO, some of these OPC specs scream “wannabe NSC”… which is a mistake, because adding marginal “wartime” capabilities to fill in NSC’s shoes is going to come at the expense of hull numbers. I’m hoping the redundancy will be achieved by using a hybrid or integrated system, that will allow generator(s) outside the main machinery space to propel the ship. Great report Chuck. Have always said we too often try to reinvent the wheel here. Here is some information about the Sirio class and their corvette half sisters. They are a bit small, and like most Italian designs have short legs since they work in the Mediterranean. Damen’s Holland class OPV and SIGMA and the odds I would give it, 80:100 only because Damen has a good working relationship with the USCG with their Marine Protector design and the Sentinel class cutter design. My hunch is that Damen would push their Holland Class OPV and SIGMA designs to the US Coast Guard. Though I think the SIGMA would beat out the Holland class OPV. Navantia would come in second and the odds I would give it would be 60:100 because Navantia has features on Buque de Acción Marítima or BAM that include high degree of automation and they have modular concept that it can be interchangeable. The BAM is currently in service with the Spanish Navy. Blohm + Voss “MEKO” would come in third and I would give the odds of 40:100 because even though Blohm + Voss has experience in building naval warships. They don’t have experience in building cutters for the US Coast Guard. I would say Blohm + Voss would have a long shot in getting the business from the US Coast Guard. Though I do think The MEKO® 100 Patrol Corvette is a serious contender for an OPV/Corvette for the US Coast Guard. I like the fact that the The MEKO® 100 Patrol Corvette has the speed to keep up with the Amphibious ready group and the endurance to boot. I’d love to hear more about the USCG’s plans for RHIB launch & recovery. Especially how they expect to recover future USVs from davits/cranes… I’ll admit I’m skeptical, but then again I’m no expert. Hopefully the USCG wasn’t too quick to discard stern launch for the OPC! Also, some interesting lessons and pics from the French Gowind OPV trials here: http://www.meretmarine.com/article.cfm?id=120211. Very relevant to the OPC, IMHO. – Tight manning: with only 32 crew, the OPV spends a lot of time at combat stations. For example, although 1 sensor operator can man the entire ops center during quiet periods, you actually need 5 sensor operators when things get busy (3 for the combat system + 1 ESM + 1 comms/imagery). – Integrated bridge & ops center: The jury is still out. The CO is very happy with the shorter decision loop, but there are concerns that sensor operators will be distracted by the bridge chatter. – Fuel: Currently the OPV needs to carry 4 types of fuel (diesel, JP5, petrol for the small RHIBs, and 100LL for the UAV). It is hoped that UAVs can be adapted to use diesel or JP5. Unlike the Chinese ships they have a hangar, but the 76mm looks like it is going to get very wet. The Chinese have a naval and Coast guard Shipbuilding ambition that would make the US Navy and US Coast Guard very envious. Though for Thailand, it’s more like generals and admirals who want bigger and badder toys at the expense of the king. Such as the Admirals in the Royal Thai Navy are pushing for a Type 206 or 209 Submarine. Though I think for Thailand, they want their own homegrown OPC with China teaching them how to build one. 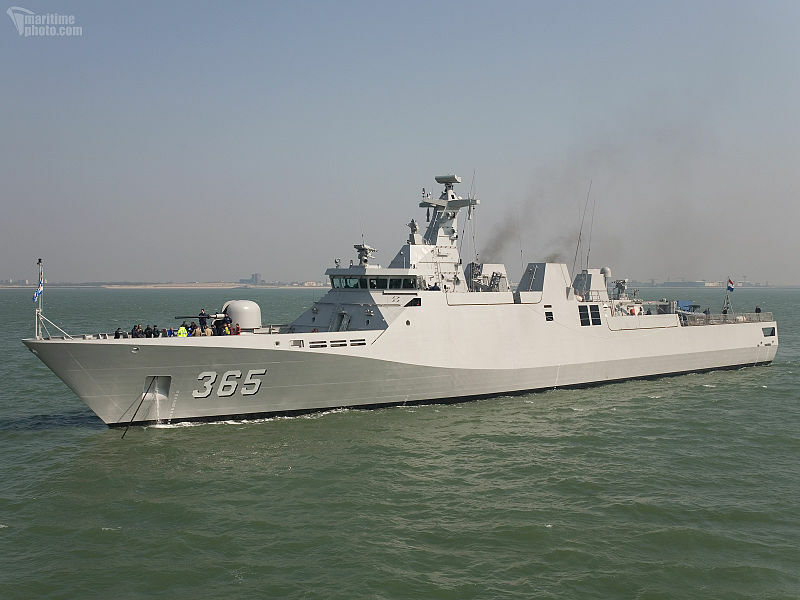 The Thai’s are building the equivalent of an LCS or a modern Corvette. Their OPV’s and Corvette’s need to be ocean going and capable of being upgraded. Let me ask you this question. What would would happen if the US Coast Guard took the design features of the Israeli’s Sa’ar 5-class corvette and make heavy modifications for the Future OPC. Would it be possible or would their be issues. Also would the Sa’ar 5-class corvette be a perfect design to base the OPC on. You still don’t get it. The Coast Guard cannot perform our missions effectively with ships that are designed purely as warships. Despite this fact being pointed out to you repeatedly by professional sailors and military you persist with your fantasies. These are pure warships, not patrol vessels. They were built in the US, but the design is very densely packed. Yes we could simply build without all the weapons and sensors, but the range and endurance is less than half what has been specified for the OPC. It is long enough but in terms of the real indicator of size–displacement–they are smaller than the 270s and almost certainly would not meet the requirement to be able to conduct boat and helo ops in State 5 seas. It does have a helo deck and hangar, but they are relatively small–too small to operate H-60s. From the way it looks, I think Damen might as well sell their SIGMA or Holland to the USCG. I just wish they gave the USCG a chance to test drive on the SIGMA and Holland to see if either one fits the USCG. Story here on a new Italian Coast Guard vessel built by Fincantieri, owner of one of the contenders for the OPC contract, Marinette Marine. It’s relatively large, but too slow, too short ranged, and has too small a crew. It looks like it is based on an oil industry Offshore Support Vessel. There is very little freeboard aft. It does not look like it has a hanger or any significant weapon system. The speed we need does not require a gas turbine. More powerful diesels could do the job. So more like a CODOG, CODAG or CODLAG system. If the BAM were to be given a CODOG, CODAG or CODLAG system, it would boost their speed up to what we want. The design specs specify diesel, so no gas turbines at all. As you can see from the numerous examples above you can get 25 knots using only two diesels In fact the two diesels in the National Security Cutters already drive those ships up to 22 knots. Which is the threshold speed for the OPC design. Gas Turbines are light and they don’t take up much space, but the intake and exhaust systems to handle the large volume of gases do take a lot of space. Turbines don’t seem to come in a lot of sizes. The LM2500 which is the most common turbine by far produces almost 30,000 HP which is way more than the ship needs to go 25. Integrating a single turbine into a power plant with two diesels and two propellers increases complexity and expense. The Coast guard wants to avoid all that. No Gas Turbines at all, so a CODLAG like the Type 45 is out. CODAD, basically four diesels main prop engines, is a possibility, but the same power with only two engines is probably cheaper. Using a hybrid system with two diesels for high speed and electric motors capable of driving the ship at cruise speed driven by generators that also supply the hotel load for the ship is probably the cheapest way to get redundancy and the survivability of main prop in two different compartment. It also may allow fewer people on watch, at least during cruising. The Indian design looks good but my bet is that since Damen has their foot in the door with US Coast Guard with the FRC and the 87 Ft Coastal Patrol Boat. I am betting that that Damen may sell the US Coast Guard a version of the SIGMA corvette or the Holland class OPV. It just seems very obvious that Damen may get the OPC contract and it boils down between the SIGMA and Holland class OPV. You can click on the individual pictures for a larger view and then on the left or right edge to move to the previous or next photo. DCNS, which we now know is partnered with Halter Marine, showed their Corvette, photos 20-23 and the L’Adroit (too small for the OPC) photo 24. A possible partner I had not considered, Korea’s Dawoo Shipbuilding and Marine Engineering (DSME), has models of two ships that might fall into the range of interest, see photos 102-106 for their DW 3000H frigate and 1400P OPV. Fincantieri, owner Marinette Marine, showed the Commandante Class Patrol Ship, photos 129-130, it still looks too small to me. Not related to the OPC, but there were some other photos of interest. There was an ASW equipped MPA version of the CN235 that is the parent of our HC-144, photo #32. Ingalls showed three models, the National Security Cutter, photo #160, a very closely related patrol frigate, photos 157-159, and a more highly modified version, “Patrol Frigate 4921,” that looks like it has a mast from a San Antonio Class LPD and is equipped with both hull mounted and variable depth sonar (presumably with the option of a towed array), ASW equipment and missiles. Another version of a design that might be the basis for a Marinette Marine/Fincantieri proposal. Like most Italian designs, it seems short on endurance, but adding 11 meters to design to add fuel and birthing capacity would make its dimensions almost identical to those of the 327s. Looking at Marinette’s web site, http://www.marinettemarine.com/OPC/index-opc.html, (There is an artist’s concept of the OPC at the top of the page and in the rotation of photos near the top), it looks like if they did adapt a similar design they raised the hull a deck forward. Here’s an example of the Spanish Navy sending one of their BAM ship to Anti Piracy operations in Somalia. It just shows that an OPC ship similar to a WMEC 270 & 210 can be used for Anti piracy ops in places like Somalia. 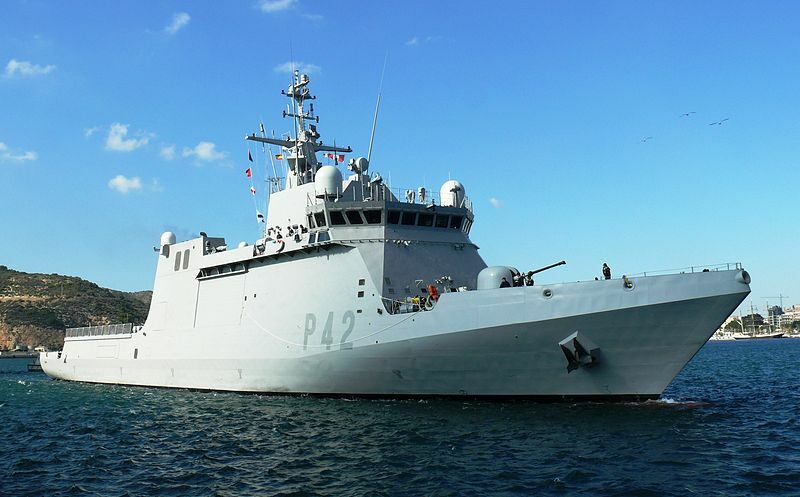 Maybe we can get a ship similar to the Spanish Navy BAM for the OPC. Here is an update on the DCNS design chosen for the Malaysian Navy. May be interesting since DCNS and VT Halter have submitted a design for the OPC that may be related. The design for Malaysia is now reported to be 111meters (364 ft). What the Royal Malaysian Navy is getting is what the US Navy should have gotten in the first place. The Gowind Corvette is a true LCS/Corvette, that is combat ready. Which is why I think the Gowind Corvette could be a contender for the OPC. I can’t believe that any engineer would sign off on an icebelt for the entire OPC class. The ability to design a FUNCTIONAL ice belt in a ship with a requested speed of 25 knots and all the other items on the list is practically impossible. I know that the Danes have some OPC sized ice capable ships for their Greenland patrol but they are in no way able to make 25 knots. If we really want an OPC type craft for Arctic patrols then there should be a small number of cutters designed for that mission. Are we realistically going to deploy cutters that work the Caribbean interdiction circuit into Arctic waters? That is a recipe for losing a ship. There is a good reason that people get tracked into continuing service on ships that work in ice, it is a skill that is learned by experience and lost by disuse. While we can’t afford to rebuild the icebreaker fleet we had in 1970, we can do better than trying to cram a feel good icebelt feature on an OPC. If you want to go and play where it gets icy then take the proper equipment, don’t show the flag with an NSC or “all purpose” OPC. Fantastic points. I couldn’t agree more. We’ve discussed an Arctic Patrol Cutter at length here. The CG should build 4-6 Arctic Patrol Cutters, and 30 or so OPCs for use outside the Arctic. 90 meter (295 feet) loa but no helo deck or hangar planned for these. Two interesting issues also in the paper were the location of the Ops. Center and the fact that under 21 knots, the shorter vessel was more fuel efficient (and of course, most of the time, the OPC will be underway under that speed). Interesting study. I hope the CG is looking at the sea keeping effects in a similar way. Re the lower resistance of the smaller hull at cruise speed, the same considerations effect different hull shapes constrained to the same displacement. Long skinny hulls are good for high speed, but relatively fat hulls have lower wetted areas so at speeds where skin friction, rather than wave making, is the predominate form of resistance they require less power. . I love learning the more technical aspects from your expertise in engineering, Chuck. Length to beam ratio also can drastically effect rolling motion, too, correct? With the size of the OPC (90-115m), is there a “sweet spot” where anything too beamy or too greyhound would be bad from the OPC’s mission? One of my only reservations about the X-bow design (other than sheer ugliness) is that it seems very beamy, but that could be an optical illusion from the tumblehome bow. Being the marine engineer, I figure if anyone could speak to this question, you can. I’m not a marine engineer but having a life-long interest in ships you do pick up some things. I also have some very good references. I think the 327s were close to the sweet spot. Their water line length was 308 ft and their beam was 41 ft giving a length to beam ratio of 7.5 to 1. Don’t know the water line length of the Bertholfs, but it looks like theirs is also close to 7.5 to 1. Hamilton Class WHECs are a little over 8.1 to 1. Bear class are 6.7 to 1, and 210s are less than 6.2 to 1. The Webber Class WPCs are presumably semi-planing hulls, but their length to beam ratio is also about 6.2 to 1. Burke class DDGs are also have a ratio of approxiately 8 to 1. During the period WWI to WWII, when they were really trying to push the max speed of destroyers and cruisers, length to beam ratios of 10 to 1 were common and some pushed 11 to 1. (WWI flush deck, four stack destroyers were narrower than a 210.) Conventional displacement hulls are effectively limited to a maximum speed of no more that twice the square root of the waterline length in feet, so a 400 foot long ship was effectively limited to no more than 40 knots (Although there were apparently some exceptions among the French super destroyers, they may have been planing.) As the ship approaches this 2 to 1 length to speed ratio, power requirements climb geometrically. Going to greater length to beam ratios allowed higher maximum speeds for a given horsepower. This explains why it is relatively easy to make aircraft carriers fast, since their limiting maximum speed, based on length to speed ratio, could exceed 60 knots. Planing hulls and submarines that are hydro-dynamically deep are not subject to these limitation. The LCS ships use unconventional hull forms to get around the limitation, a trimaran hull in the case of the Independence class ship, and a semi-planing hull in the case of the more conventional appearing Freedom class. Still it takes a lot of horsepower. The Freedom class’ gas turbines provide 98,000 HP to push the ships over 40 knots, almost twice the power available to the Bertholfs. The OPCs are likely to have about 20,000 HP. Thank you Chuck. Is there a formula regarding horsepower in relation to the max speed according to displacement hull forms. In other words, if a displacement hull of 400 ft. is limited to 40 knots, is there a formula to determine how many horsepower would be required to achieve that max speed? (And, hence, no point in putting in more HP, as it’s wasted weight and consumes fuel unneccessarily.) I’m also guessing, this will be a curve, where the closer one approaches the max possible speed, the more HP per knot will be required? Chuck, I am more and more impressed with your grasp of naval architecture. You sure you are not an engineer? I kept looking for modifications to the constant, and ran across hull form modifications such as the bulbous bow and wave-piercing bow, which drastically effect the characteristics of hull speed. However, I wanted to know why and how the Taney or Arleigh Burke —both traditional-bow designs— surpassed the “standard” hull speed calculations. Well, I found it. Turns out, that 1.34 “constant” is NOT constant at all! I think you may have lost me. The upper limit of 2 for the ratio [(speed in knots)/(square root of length in feet)] for displacement hulls is not something I made up. I read about it in high school (a million years ago). Bulbous bows tend to be optimized for a particular cruise speed, so are common on merchant ships that are expected to spend most of their lives cruising at a predetermined speed. Warship have them less frequently because they tend to use a wide range of speeds. Bulbous bows are becoming more common on Offshore Patrol Vessels. I only mentioned bulbous bows and wave-piercing bows, because they can negate all the traditional calculation by the way they disrupt the bow wave. Those comments can be disregarded as far as determining the real constant for our max hull speed. Of course this is the max HS, and the vessel must have the propulsion system to achieve that. However, I think this “possible max” HS is much more accurate than the traditional “fixed constant” of 1.34, which says the max HS of a 327′ would be 23.5 knots. One of the links I found referrencing Gerr’s formula mentioned there are pure-displacement boats which exceed their max HS using the 1.34 constant by over 100%, which would mean 2.0 has already been exceeded. The closer one gets to max hull speed, the HP requirements go up exponentially for each additional knot. Now, that’s a joke, as the range, of course would be laughably short, but just in the realm of discussing pure speed ability referrence to hull speed and horsepower, I believe it would play out accurately. The 327s did very well making 20 knots on 6000HP. Lots of similar size ships require up to 12,000 to make 20. When the Charleston and Erie were designed (they were the Navy gunboats the 327s were based on) the designers recognized that with their relatively low top speed their objective should be to minimize the wetted surface are so they minimized the “deadwood” at the bow and stern. The hull was full resulting in maximum volume for minimum wetted surface. On the other hand if you look at the hull form on the Iowa Class fast battleships, there is a long narrow bow. The length made it easier for the ship to go fast. Because the bow was unarmored, presumably the bow was kept very narrow minimized the effect of flooding should it be damaged. Looking at the most extreme displacement hull I am aware of in terms of pushing the 2 to 1 length to speed ratio, the large French countre-torpilleaurs (destroyers) of the Le Fantasque Class, launched 1933-34, http://en.wikipedia.org/wiki/Le_Fantasque-class_destroyer. Their length was 411’5″ pp (between perpendiculars), 434’4″ overall, 40’6″ beam, 16’5″ draft. Their displacement was 2,569 tons standard, 2724-2800 tons normal, and 3,200 to 3,400 tons full load. Nominally their speed was 37 knots with 74,000 HP, but under trial conditions (most favorable conditions–possibly at a displacement less than standard) the six ships’ speeds ranged from 42.71 knots to 45.03 knots (Le Terrible developing 96,419 HP). Try plugging those numbers into your formula. Even at the end of their lives, in spite of increasing displacement they were reputed to have been capable of 37 knots even at full load displacements. Le Fantasque Class — Using the most favorable displacement of 2569 (long tons), we get a D/L of 36.89 (almost exactly twice as good as the 327’s), we get a constant for use in the hull speed formula of 2.689. Plugged into the max hull speed formula, we get 54.5 knots as the max theoretical hull speed. I’d say the actually-realized trial speeds (at lighter weights as you point out) of 42.7 — 45 knots is reasonable, considering the HP costs of the last few theoretical max knots. It’s interesting that the LeTerrible had 22,000 more horsepower (23% higher than nominal) and only achieved 2.3 more knots, if I am inferring correctly from the data you provided. Bill, USS Erie’s hull below the waterline was identical to that of the 327s and it was in fact slightly longer over all because of the shape of their bow and stern above water. It also had the same power plant. All the Le Fantasque Class made much more than their nominal HP on trials. (The builders were, presumably, pushing the machinery for bragging rights.) In fact one of the other members of the class produced even more HP than LeTerrible, L’Audacieux 101,876 SHP. Elsewhere I saw an statement that Le Terrible had a revised design for the struts supporting the prop shafts and that, that may have accounted for her better performance. There might be no true limit on how fast you could push a displacement hull if you had unlimited power, but in fact there are practical limits given technology available. The 1.34 ratio was probably good for sail technology, while the 2.0 is probably a good practical limit for current engine technology. Also has photos of model of the ship and info on weapon systems/sensors. This probably would have been close to the Halter Marine contender for the OPC, but with different weapons and sensors of course. From the German Navy blog Marine Forum, “SPAIN, Navantia (San Fernando) launches the 5th Spanish Navy METEORO class offshore patrol vessel, „Audaz“ (P 45) … 6th vessel „Furor“ will also be launched „soon“ … both to be delivered in 2018” This class was the basis for the Bath Iron Works OPC submission.